Mini Crate is rated 4.9 out of 5 by 18. Rated 4 out of 5 by poppy from One BIG problem Sometime in the last couple years, you changed the connectors on them from square to round, and they no longer fit together. A lot of the round ones don't fit each other, either. I won't be buying any more. Rated 5 out of 5 by Ramona627 from GREAT FOR STAMP STORAGE!!!!! These worked great for my Stamp Sets in the DVD Cases! Rated 5 out of 5 by Chelleandtsc from Great size We use one of these in the fridge to hold the containers of food our son will put in his lunchbox. Each morning he can remove the mini crate and place the items and an ice pack in his lunchbox hen head out the door. Rated 5 out of 5 by Yokuutsu from I love it These things stack, but until this year, I did not know you could turn them on their sides and connect them into something like shelving....it makes me so happy and makes these so much more useful. Rated 5 out of 5 by Rebeccabur from So many uses! This is my new favorite product! I hung a group of 8 in each of my kids rooms for shelving/storage. These are a low cost, high quality storage solution! Rated 5 out of 5 by greyweaver from Only one problem I have only one problem with this product - I can't find them in the stores except briefly before school starts each year. I could create a wall with these things and fill them. They are ideal for keeping CDs and DVDs organized. Please tell me how I can get them year round. Rated 5 out of 5 by Anonymous from This mini crate helps me organize everything! 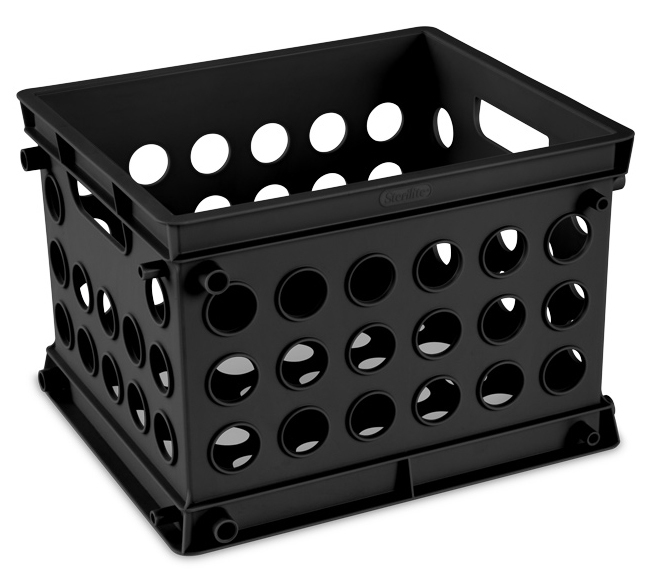 I'm in college and I bought 5 of these mini crates to organize my room. I only have one dresser in my room, so to make everything fit, I use these crates to organize my drawers. Because these mini crates fit perfectly in my drawers, I can easily find things in my drawers and I can be sure that nothing rolls around in my drawers. After my mom saw how I used these, she bought a few herself to organize her bathroom drawers. These are absolutely perfect! Rated 5 out of 5 by kmccormick from Great for classroom organization! 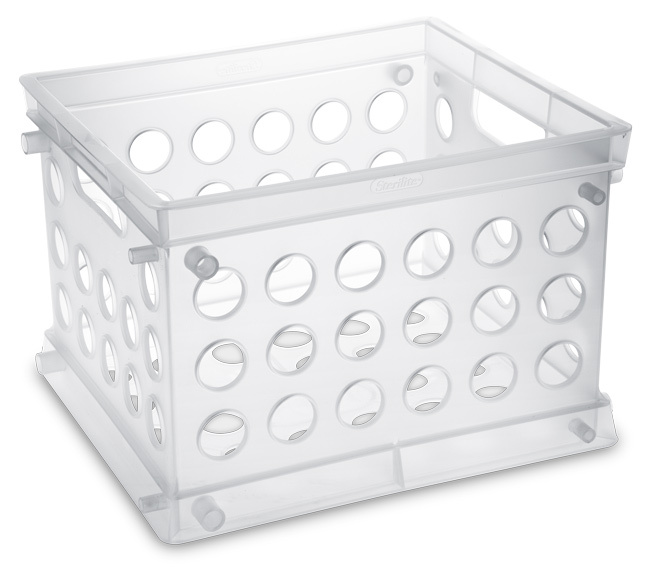 This product is great for classroom organization. It's great for school supplies, books, and paperwork! I would recommend it for any teacher!